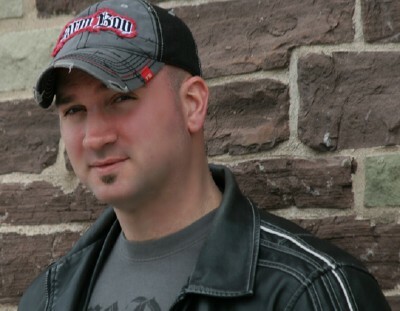 Meet Kevin Chase, Country Music singer/songwriter from the Kingston Peninsula of New Brunswick, now based in Petitcodiac, N.B. Kevin has been performing and writing songs for the past seven years, and may now be making a major break in Canadian Country Music. He won a regional talent search in 2002 and represented the area in Alberta in the fall of 2002. Kevin recently released his debut CD entitled, Another Road, which by all accounts will be a major hit in Country music. All 11 songs are outstanding on the CD, and it protrays what Country Music is all about. Kevin is rapidly gaining a name for himself as a Country Music Artist. Since his debut at a talent show in 1994, Kevin has become a favorite at many venues througout The Maritimes. Kevin had many career highlights thus far and here are a few: Opened for Chris Cummings and Shirley Myers in August 1998-A week at the Calgary Stampede in July of 1999 during which he made 13 appearancs, which included opening for such artists as Chris Cummings, Stephanie Beaumont, Rick Tippe, Poverty Plainsmen and the Jonner Brothers.The Highlight of the week was his feature performance at the Shoppers Drug Mart executive stage at the Stampede. In 2002 Kevin was back in Calgary to represent Atlantic Canada in project Discovery, a nation wide talent search for up and coming country artists. This prestigious event co-incided with Canadian Country Music week and was sanctioned by CMT and the CCMA. At this event Kevin and his band were a real hit, featuring original songs from his CD, Another Road. Kevin's first demo release, Brand New Man, received extensive local airplay and many radio stations are eager for the next release. The future looks bright for Kevin, and Atlantic Seabreeze wishes Kevin much success with his great Country music career. 2009-Kevin expanded his career beyond the Canadian borders and signed with a new management company that developed a global vision for him. 16 months later-Album pre-release through MySpace and the power of the internet proves to be a solid start for Kevin's international career. Kevin spent 45 consecutive days at No1 on the Canadian My Space Charts in 2 categories: Indie Country Artist and Overall Country Artist. He continuously was in the Top 5 songs and was rated No 1 artist in all genres numerous times. With all the impressive stats from international labels, Kevin signed a deal with AGR/Universal in Europe. The album, HOLD ON TIGHT was released in Europe and The Middle East on July 27, 2011 to critical acclaim. Kevin appeared on four European compilation discs. In 2012 Kevin became the first Western pop/rock/country artist to tour Mainland China and the first Canadian Countey artist along with Melanie Morgan to tour China. In 2013, signed a deal with SMG for all China, Taiwan, Hong Kong and Maccau where all 3 of his albums were released there. Kevin has returned to the studio to work on a new album and plans are in the works for another China tour. For more information about Kevin and his music, refer to his website, address posted above. Kevin plans to release his new album in January 2014, but in the meantime a first single and video entitled, Whole Lotta Honey is to be released in September 2013.